THE great and the good, more than 3,000 of the haves, the have-mores and the hangers-on, have jetted into Switzerland to discuss how to further their globalising project and are now on the way home. The elites gathered for five days of luxury and hobnobbing with each other in Davos whilst they were courted and urged to do more by the fawning NGOs and charities they bankroll. They even have posturing celebrities and discarded politicians such as Bono and Blair on tap to stroke their egos and assure them that they are moving in the right direction, only they should be moving faster. 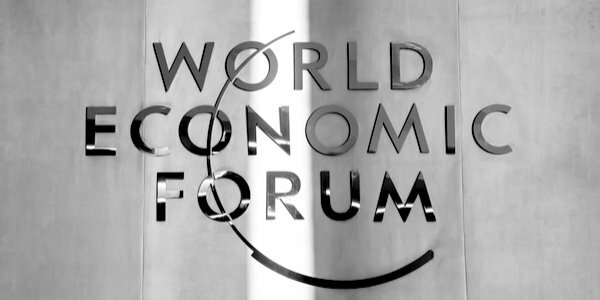 As an expensive exercise in self-congratulation, Davos is hard to beat. Yet whilst they patted each other on the back the project was beginning to fray at the edges. The list of leaders who were absent from Davos this year is illuminating. Of the Group of Seven countries, only Germany, Italy and Japan sent their top leaders. Chief amongst absentees were Trump, Macron and May. They were missing for variations of the same underlying cause, mistrust of globalism amongst the people of the West. Trump declares that America ‘is open for business’, only it isn’t. The President at last looks like honouring his campaign promise to build a border wall and the obstructionist Democrats have closed down government in an internal conflict which doesn’t look as though it will end any time soon. Externally the global economy is slowing at least in part because of the trade war Trump launched. Trump is too busy for Davos. Macron was the lauded darling of last year’s Davos; this year he is missing in action. Initially a protest against rising fuel prices, the yellow vest demonstrations have developed into something more. Anger over Macron’s policies favouring the wealthy swelled the demonstrations into a broader anti-government movement. All Macron’s attempts to launch a ‘national debate’ to solicit ideas from citizens and to help assuage the anger have failed. Despite a media blackout, the yellow vest protests continue. Last weekend thousands turned out in Paris and other cities for the tenth consecutive weekend of demonstrations. Theresa May does not have her troubles to seek. She is too busy fighting to retain what vestiges of the globalising EU project she can to jet off for banquets in the Alps. Despite an overwhelmingly biased government and media campaign, the British people voted for Brexit. Not the vote of geriatric xenophobes as portrayed by Remainers, but the vote of people living with the results of globalisation and growing disillusioned with the project. This year’s Davos conference in many ways underscored the extent to which globalisation continues to be in retreat and global elites have failed to turn the tide of populism. The theme was ‘Globalisation 4.0: Shaping a Global Architecture in the Age of the Fourth Industrial Revolution.’ Sebastian Buckup, the director of programming at Davos, lamented that we live in ‘an era of fortresses and walls,’ and said the goal of the meeting was to draft ‘a blueprint to construct a geopolitical framework that can support this era’s needs’. One focus of the gathering was climate change, but the world in the Trump era has backed away from collective action. It was a rise in fuel tax, specifically marketed as intended to combat climate change, which precipitated the yellow vest protests in France. And Trump has made it clear that the United States will no longer follow through with its commitments in the Paris climate accord. Income inequality was another focus of the elites who fly to Davos on their private jets every year, but it keeps getting worse. Oxfam published a report to coincide with the start of the meeting, showing that billionaires got 12 per cent richer last year while the 3.8billion people who make up the world’s poorer half saw their wealth decline by 11 per cent. Oxfam said the number of billionaires has almost doubled since the financial crisis a decade ago, yet tax rates on the wealthy and on corporations have fallen to their lowest in decades. The elites in Davos have the power to be the solution to end extreme inequality throughout the world. But they cannot because they are a major part of the problem. Meanwhile trust in institutions drops. This year the annual Edelman TrustBarometer showed only one in five of 33,000 people polled across 27 countries thought that the current system was working for them. As a consequence more than 70 per cent voiced a sense of injustice and a desire for change. People have shifted their trust from institutions to those relationships within their control. Globally, 75 per cent trust ‘my employer’ to do what is right, significantly more than NGOs (57 per cent), business (56 per cent) and media (47 per cent). There is a significant 16 per cent divergence in trust between what the Barometer terms ‘the more trusting informed public’ and ‘the far-more-sceptical mass population’. Yet the world is united on one front: all share an urgent desire for change. People generally, even the less informed ‘mass population’, are engaging with the news. Consumption of news outlets surged by 22 points; 40 per cent not only consume news once a week or more, but they also routinely amplify it. This despite encountering roadblocks in their quest for facts and distrust of the mass media: 73 per cent worried about fake news being used as a weapon. As the post-WWII international order continues to crumble, have the globalising elites learned that it can’t be business as usual amid constant protests, riots, shutdowns and escalating social tensions?